As car enthusiasts, we are up supporting our cars at all times of day and night. Often that 5 minute job you start in the daylight, runs on for several hours and you can struggle in the dark to get things right. Luckily, there are some amazing solutions that can make our lives a lot easier. 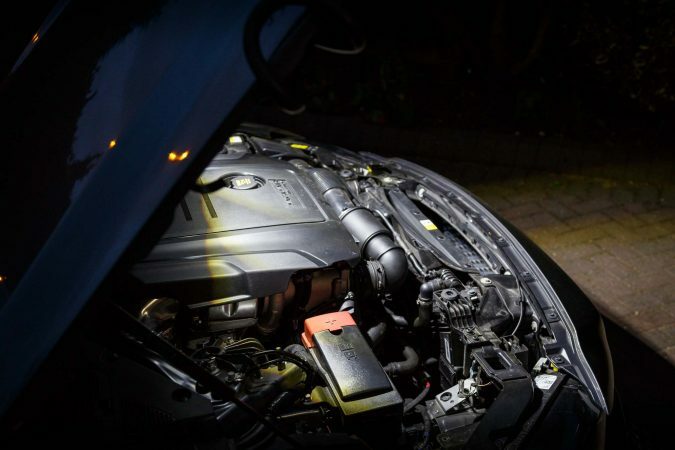 Take a look here at Ring Automotive’s under bonnet lamp. 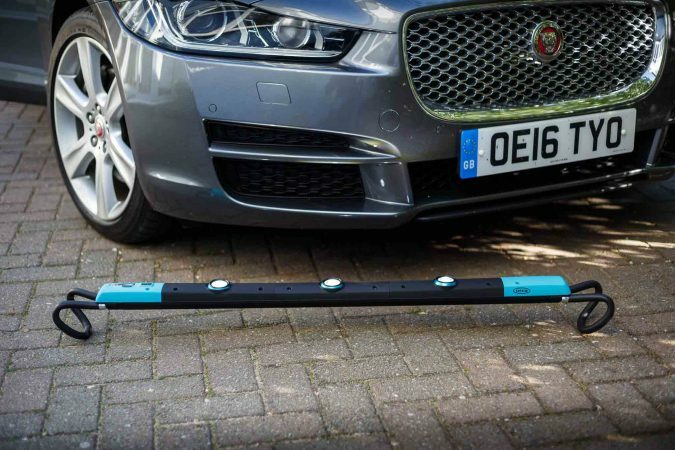 The bar is strung and will adjust to fix onto any bonnet lid in seconds. Once set up, you can start turning on the lights. You can have either one, two or three lights on. With all three LEDs on they will provide 1000 lumens of light. Which as you see from the pictures, is an incredible amount of light. There is no doubt about it, this will make any task 100 times easier. With all 3 lights on you can work for 6 hours, but you can also plug the light into the mains to keep the lights topped up if you need to go on for longer. The quality of light that the bar puts out is incredible. 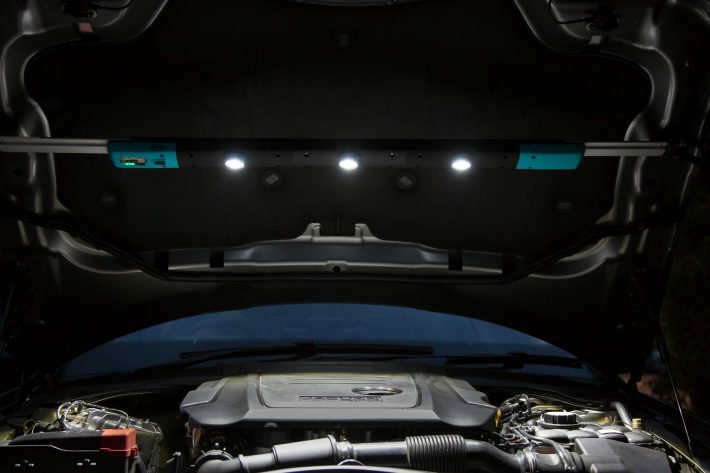 Each light has a 60º wide angle illumination and when you times this by 3 you get a consistent light over the engine bay. 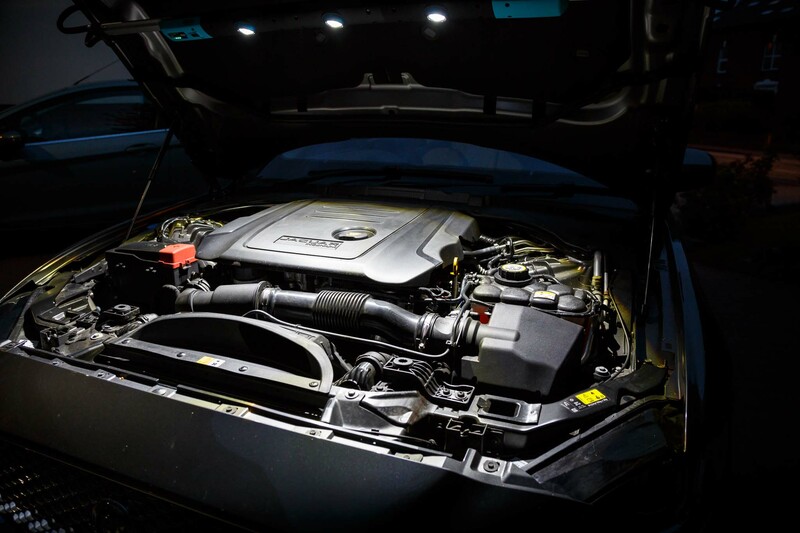 If you are working on a ‘hard to see’ area, the lenses also have a 40º adjustable head to shine light on the engine bay exactly where it is required. Sometimes the colour of light that is provided can be important to the job. These lights put out 6000K colour temperature for bright white light, meaning that colours look pretty natural to the eye. Overall, this is a very handy tool to have around.